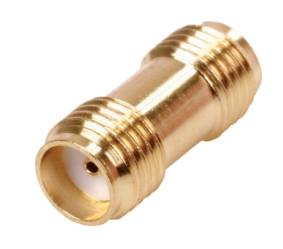 SMA Lead - Gold Plated Plug to Plug 1M long with black 50 ohm Coaxial Cable. SMA Lead - Gold Plated Plug to Plug 3M long with black 50 ohm Coaxial Cable. SMA RF Female Coupler (Joins 2 Males) Gold plated.